Found this recipe in Cooking Light and it just sounded so good. Many of my favorite ingredients. It just doesn’t seem like something that would be published in a winter issue (Jan/Feb) but I’m happy it was. 1. Combine first 6 ingredients in a small bowl; stir with a whisk until smooth. 2. Place 2/3 cup kale on each of 6 plates. 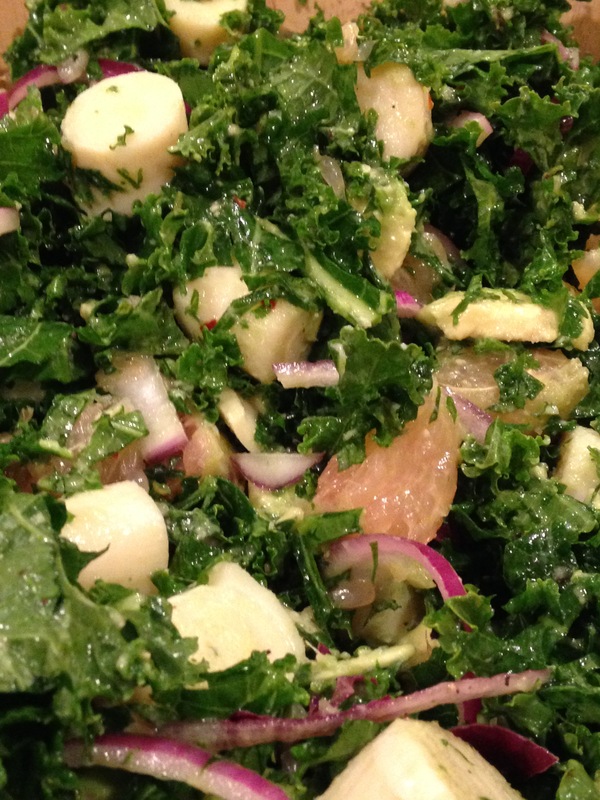 Arrange grapefruit sections, onion, hearts of palm, chile, and avocado evenly over kale. Drizzle with dressing. (ok, I didn’t make it that fancy — tossed all that stuff in a bowl and dressed it). So good! Served it with some pan-seared scallops. I could eat this every night. 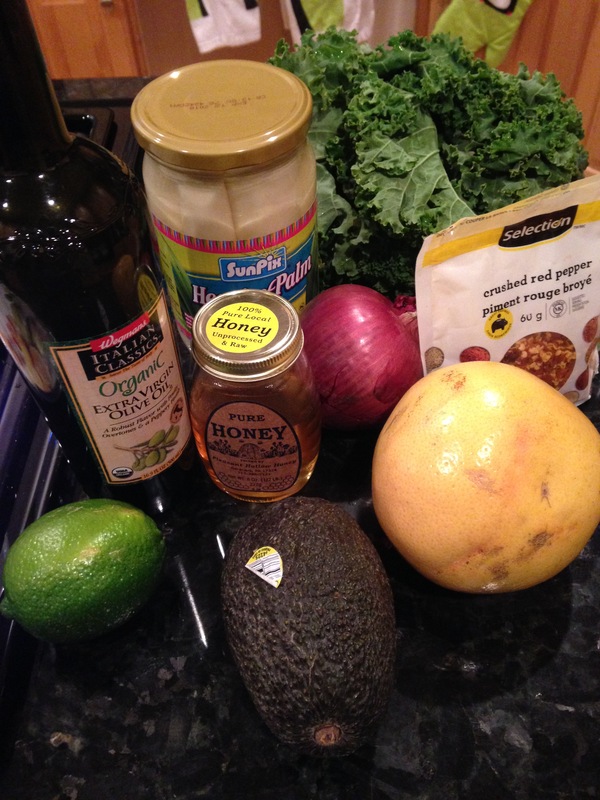 This entry was posted in salad and tagged Cooking Light, dinner, grapefruit, hearts of palm, kale, Salad. Bookmark the permalink.